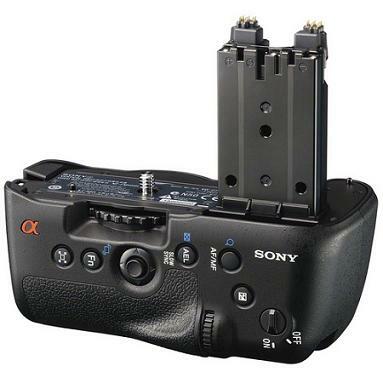 The Sony VG-C77AM Battery Grip for the a77, a77II, and a99II holds (2) NP-FF500H batteries simultaneously, which will give you up to 1,060 shots as it switches from the first to second battery without interrupting your shooting. It also gives you an accurate battery life indicator, so you know how much power is left on the battery it is currently using. In addition, the grip allows easy vertical shooting, with easy to reach buttons and controls that are gasket-sealed to protect from dust and moisture. • Accepts (2) NP-FF500H batteries, which are rentable separately.